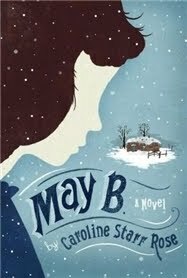 May B is set in late nineteenth-century Kansas and tells the story of May Betterly, a young girl whose family sends her to a neighbour’s farmhouse to help with the housekeeping, “just until Christmas”. The Oblingers’ farm is only 15 miles from the Betterly’s, but in the world May inhabits, this is an insurmountable distance. Which is why when something goes wrong, May is left entirely on her own. With no way to contact her family and with the snow about to isolate her even further, all she can do is try to remain alive. Caroline Starr Rose tells May’s story in free verse, which perfectly suits the tone of the novel. The writing is very sparse and focused: a few small details are enough to evoke vivid images on the reader’s mind. There’s also May’s wonderful voice – brave, vulnerable, determined and scared – which really shines through and immediately draws the reader into her narrative. I realise that the words “novel in verse” may put some of you off, but although the format clearly shapes the writing I suspect that even poetry-shy readers will soon forget they’re reading it at all. One of my favourite things about May B was the fact that it’s such an observant, sensitive and compassionate novel. For example, May is dyslexic and spends much of her time at the Oblinger’s struggling with her reading. The narrative treats her efforts kindly and never patronisingly – May’s discouragement feels momentous, and her every accomplishment huge. There’s also the intensely miserable Mrs Oblinger, not much older than May herself. Mrs Oblinger doesn’t treat May kindly, but it’s hard not to sympathise with her unhappiness and homesickness – she is, after all, a girl uprooted and forced into a life she never chose. May B is a quiet, beautifully written and girl-centric pioneer story. The tone of the novel is generally very subdued, but everything that happens feels every bit as huge to the reader as it does to May herself. where the earth touches sky. I will track it down. the constant pound of quiet. What is at the door? fingertips as I crack open the door. Yellow threads cut deeply in the broads. on the edge of the moonlight garden. A wolf has been here. I am not alone. Reviewed at: Rebecca Reads, Stacked. 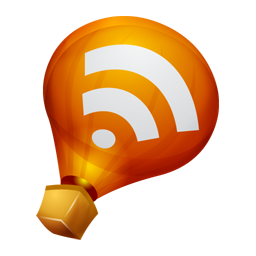 And there’s an interview with the author over at Amy’s blog. Affiliates disclosure: if you buy a book through one of my affiliates links I will get 5%. I requested a copy of this book via NetGalley. I love books in verse! I was quite taken with this book from your first paragraph. Where do you find such gems?? I will definitely add to my TBR list. As someone was recently kind enough to say about the format of my Christmas newsletter, the sparseness of the way this is written makes the emotion starker. I like the bits you quote, especially the last one about the wolf. The survivalist aspects of this book have kept me considering this one repeatedly, even though I am not a big reader of novels in verse. I think I should probably try to get this one, as I read some of your excerpts, and they are rather enticing! aw, this is such a lovely review. I have only read like one novel in verse before but you're right that you soon forget that's what you're reading. The irony of 'I am not alone' there was very striking, and then the idea of children being economic items is something I've been thinking about a lot,lately, as I was reading something that mentioned how birth rates dropped once people in the West moved to cities, and children became a financial liability rather than a financial necessity. What would that feel like, after all, knowing that your childhood had a specific purpose and destiny? I remember feeling oppressed simply by my parents expectations and hopes. Having needs on top of me as a little child would have been terrifying. Yay for books in verse! Can't wait for this one! This book sounds like it was written for me! Vivienne: This one happened to catch my eye on NetGalley. I couldn't resist the gorgeous cover! Jeanne: That's a perfect way to word it. Zibilee: Do give a try! You'll forget that it's written in verse in no time. Amy: I can't wait to hear what you think of it. Loved your interview! Amanda: Aww, thank you so much! Jason: Yes, I found that really striking as well. It must make for an incredible amount of pressure - and of course, that determines everything that happens in the story, since May was in no position (emotionally as well as anything else) to refuse contributing to the household income. Kathy: That's always a lovely feeling, isn't it? Want. Want want want want want. Aarti: apparently they're becoming a thing, especially in Middle Grade, which I think is so interesting. The author says on her interview with Amy that poetry made it easier to get the sparse voice just right, and I can see how that wold be the case. Debi: I've no doubt you'd enjoy it! I've seen this book around the blogisphere but it's your review of it that made me decide to put this on my tbr list. Great review. Thanks so much for including an excerpt. By your description and the excerpt, this sounds like a fantastic novel. I hope it does well! As you know, I really liked this too! I wasn't sure about the "in verse" aspect at first but I agree it did fit the voice perfectly.